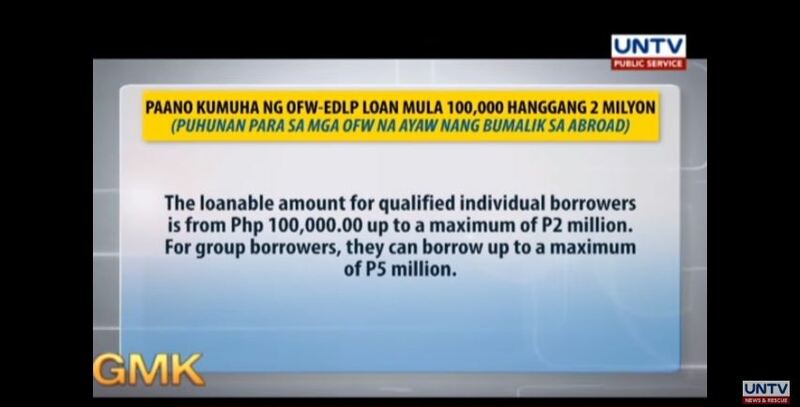 THOUGHTSKOTO Thoughtskoto : WATCH:How to Apply for OFW-EDLP Loan from P100K to P2 Million? Since working abroad is not forever, Overseas Filipino Workers (OFW) or their family must invest in something that can generate income for their future. It may be a small business or properties that will sustain a family when the time comes that OFW will eventually come home for good. 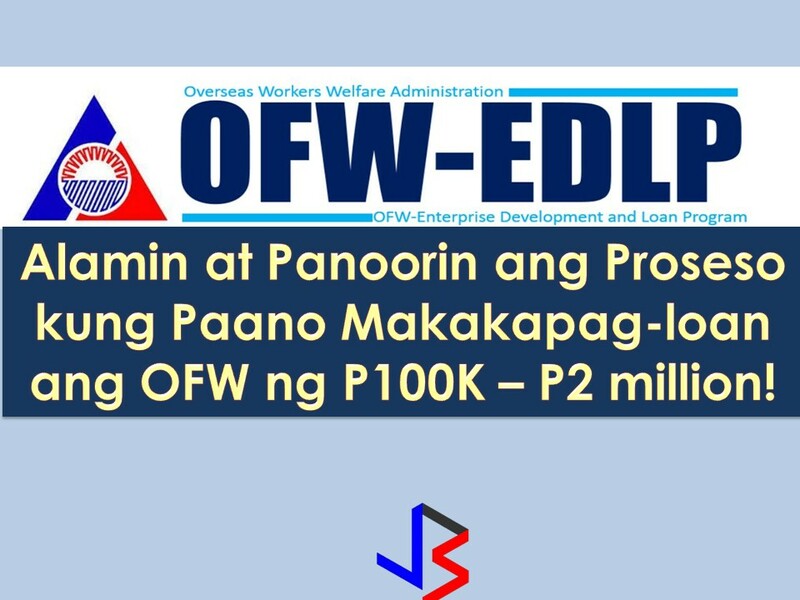 The Overseas Workers Welfare Administration (OWWA) in partnership with the Land Bank of the Philippines has a program that aims to help OFWs and their families in the establishment of viable business enterprises that will provide them with a steady income and create employment opportunities in their community. 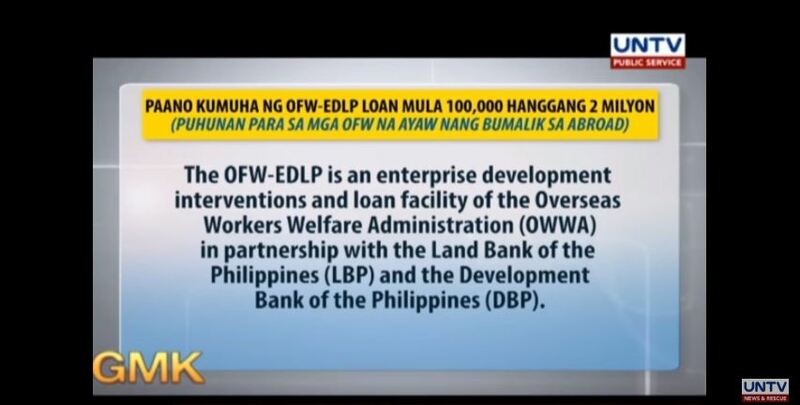 This is called Overseas Filipino Workers - Enterprise Development and Loan Program (OFW-EDLP). 1. An OFW who is a certified OWWA Member, active or non-active, and has completed the Enhanced Entrepreneurial Development Training or EEDT. 3. OFW returnees may avail of the loan program within three years from the date of arrival to the Philippines, except on cases where the OFW-applicant has an on-going business prior to the time of application. 4. Only one (1) OFW per family, within the first degree of consanguinity or affinity (parent, spouse, child), shall be eligible to apply under the program. 5. Group of OFWs who formed themselves into business entity, either as partnerships, corporations or cooperatives, and has at least 3 years track record of profitable operations, provided that all partners/stockholders/directors/ officers/ members are OFWs who have been certified as OWWA Members and have completed then EEDT. How About the Interest Rate? 7.5% per annum fixed for the duration of the loan. How Long Can I Pay The Loan? A. Short-Term Loan – maximum of one (1) year. B. Term Loan – based on cash flow but not to exceed seven (7) years, inclusive of maximum of two (2) years grace period. You can email the Welfare Officer of the Embassy that covers your country of work about the OFW Reintegration Program. The Welfare Officer will verify your registration in OWWA as an OFW. This certification will be presented to Landbank. If the OFW is eligible, a certification of membership will be issued, which will be presented to Landbank for assessment. 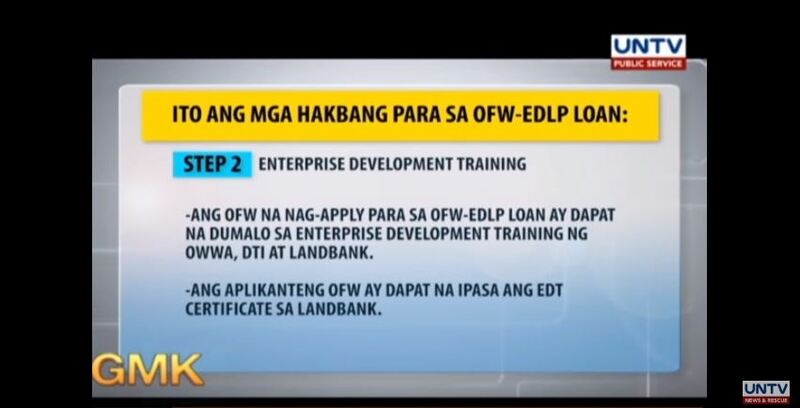 The OFW must present the certificate of attendance on the EDT to Landbank as part of the requirement. Submit your business plan and other requirements to Landbank for review. 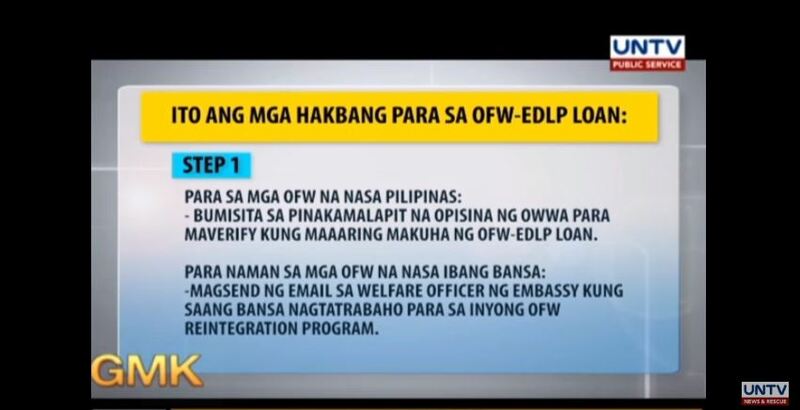 If approved, Landbank will release the fund to the OFW. Interested but have more questions? Visit the nearest OWWA office in your area for clarifications regarding this program and also for guidance.